One of my favorite new developments about Axe Cop in this story is this. When he is taken to a concert, he listens to Johnny Cash using in-ear speakers so that he can cope with the annoying music. It sounds like something I would do. 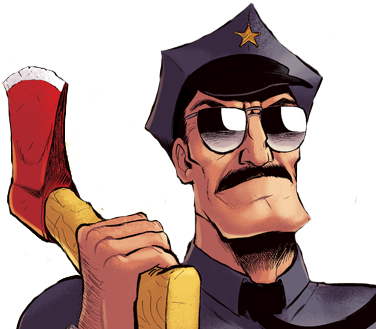 Axe Cop is such a great grumpy old man when he wants to be. I also want to thank Malachai for not making Axe Cop have an entire band with instruments and amps and things. That is so much work to draw. PT the Rapper, I welcome you as a nice, easy band to draw. 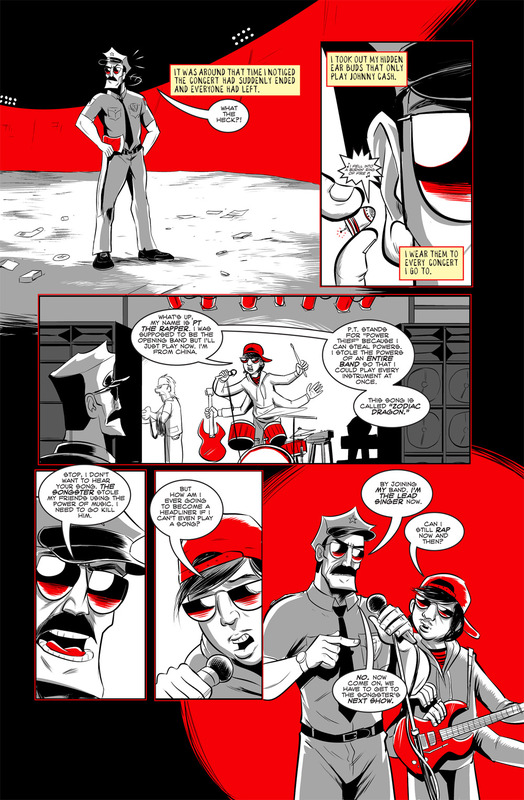 Plus, Axe Cop hates rap so you are going to one zany, hilarious mismatched pair. By the way, if you have never read the print-exclusive Axe Cop trades (volumes 2, 4 and 6) I am having a President’s Day sale this week, bundle them all together and save 20%. Just go to the page for any of the books and click on the bundle option. As always, you can get pages in high resolution, read the bonus content blogs, have a virtual pipe with me and get pages a week early when you join Patreon.